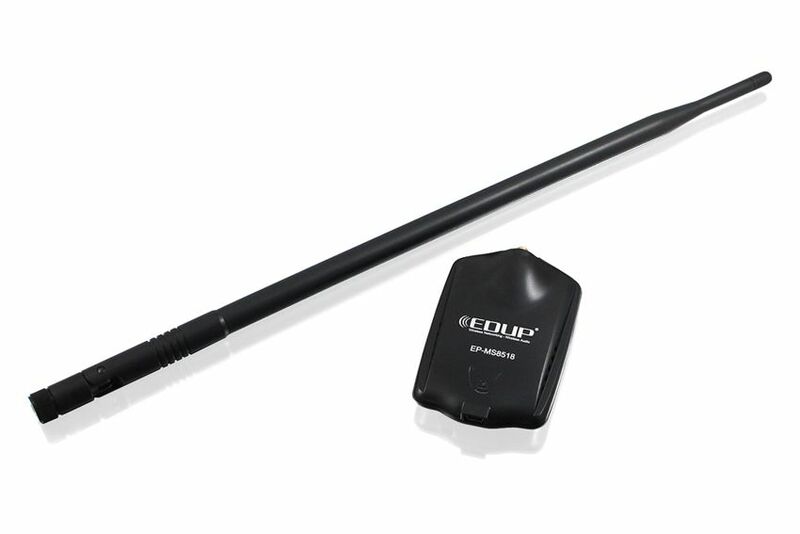 EDUP wi-fi HIGH POWER USB N adapter 150Mbps , με αφαιρούμενη κεραία 10 dBi. external antenna body paint to support IEEE802.11n 150M. 2.The EP-MS8518 is high-power wireless LAN, transmission distances is up to 500 meters. It is an IEEE802.11b/g/n compliant high-power wireless USB LAN Card. • Further, it provides an external antenna which can easily advance your distance and performance more flexible. • To protect your wireless connectivity, the high-speed wireless USB adapter can encrypt all wireless transmissions through 64/128/256-bit WEP data encryption and also supports WPA. • With the High-Speed Wireless USB Adapter, you will experience the best wireless connectivity available. Security : Hardware-Based Encryption/Decryption Using 64-128-bit Wired-Equivalent Privacy(WEP)keys, WPA and WPA2 are also supported. 802.11n : Security: Hardware-Based Encryption/Decryption Using 64-128-bit Wired-Equivalent Privacy(WEP)keys, WPA and WPA2 are also supported.